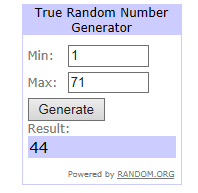 Winners results for #54 are in the post below. 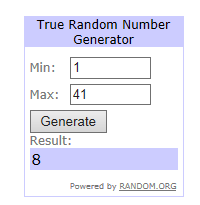 Unclaimed prizes go back into the pot and there been a few! Hi everyone, I'm Andrea but also known around Blogland as KandA. 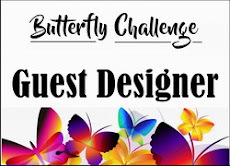 I was the very lucky winner of Mrs A's Butterfly challenge #49 and as well as receiving some fabulous goodies I was delighted to be given the chance of being a Guest Designer. I've been crafting in one form or another before I even started school - some skills taught to me by my mother and some self taught. That was many many years ago but I still take delight in creating things..... luckily I have a wonderful hubby who puts up with all my crafty 'junk' lying around the place. I'm really looking forward to visiting you and can't wait to see what you make. with the additional option of A is for the colour Apricot. 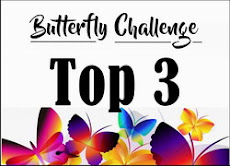 This challenge will run for 4 weeks. 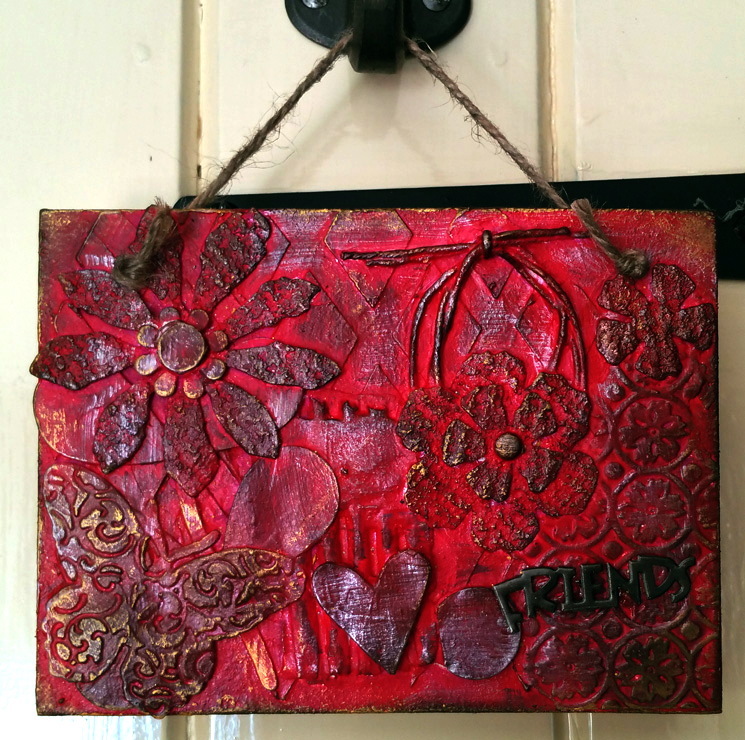 (1st of June) on our blogs to show you some more inspirational makes. which also incorporates a matching tag. 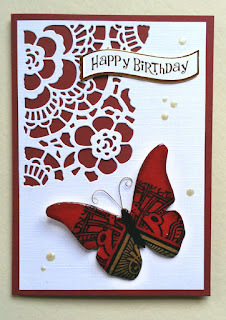 My 1st inspiration for you is this shaker card. 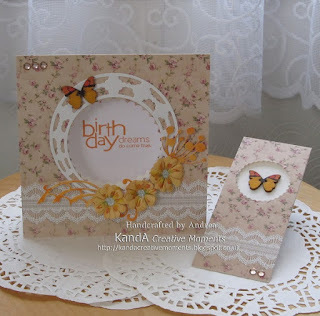 2nd card incorporates decoupage into the aperture. my Recycle and/or Ruby Red Challenge. 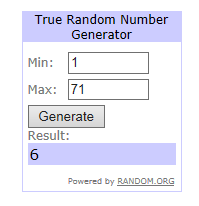 4 new players joined in and 3 new followers too . you found to recycle on your cards. and even a Soda can. your stash/trash and coming up trumps. I did enjoy reading all your posts. (36) Glenda My Paper Cat. #54 Butterflies + R is for Recycle and/or Ruby Red. 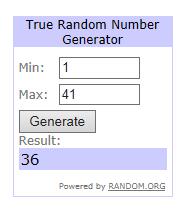 Winners results for #53 are in the post below. “Hi my name is Barb Williams. 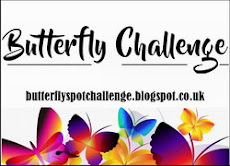 I am absolutely delighted to have been invited by Mrs A to be Guest Presenter for her Butterfly challenge this month. 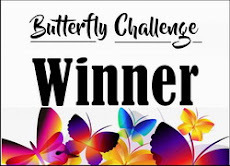 I chose ‘R’ for the May challenge and have made a card and a plaque to share with you. 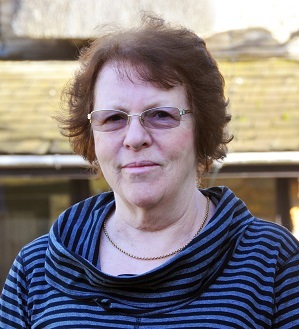 I live in a small village in Northamptonshire with my husband. We are both very keen on our hobbies and I am lucky to be able to spend some time most days doing some crafting. When I was a little girl my Nan taught me to embroider and my Mum taught me to knit and I have crafted for most of my life. 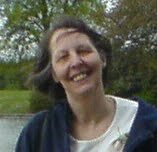 I have tried a number of hobbies including making metal pictures, cross stitch and I was a china painter for about ten years. One day a friend asked me if I would go with her to a new card making club in the village hall. She only went a few times but \i remember well that on the second visit we were shown iris folding and I was hooked. That was about ten years ago. As most of my cards go to charity I like to use different styles and techniques. I make between 60 and 80 cards each month so am able to make cards for many occasions. with the additional option of R is for the colour Ruby Red. You are in for a treat today. Just look at what Barb has made.
" The flowers on the plaque were die cut from offcuts of the underlay of the carpet we had laid last year. I also used pieces of cardboard box and a piece of string." That really is thinking outside of the nbox. "The butterfly on the card was die cut from a piece of the same cardboard box. The box was actually red and the butterfly was cut from a piece that had some pattern on it. I just coloured the body with black sharpie pen and covered it all with glossy accents." and read all about them. write and schedule both of these posts. I'm feeling better but very drained from this Flu Virus. The Doc has it now so we are propping one another up. my Texture and/or Teal Challenge.